At night, the moon illuminates the tops of the minarets, the domes of mosques and madrasas of monumental gates in the stage cities of the Silk Road. 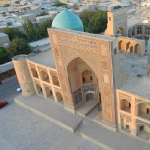 Khiva, the oasis of Khorezm, Bukhara, the beauty of the mind and the pearl of Samarkand Transoxiane immerse you in an atmosphere worthy of the “Arabian Nights”. We will also make you cross the Kyzylkum desert to stay in a yurt Kazakh and discover the steppe camel’s ride. 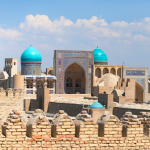 A journey of contrasts, blending the sincere hospitality of the Uzbek people, the discovery of a rich cultural heritage and crossings of large desert areas of Central Asia. Assistance to check in and boarding. 21h30: Flight Take off to Uzbekistan Airways HY 252 in Tashkent. Visit the Museum of Applied Arts rich collections of Russian art, icons, ceramics and royal costumes. In the afternoon, the visit continues with the madrasah Abdul Kasim currently occupied by artisans, Amir Temur (Tamerlane) where are presented by local artists and Tashkent metro. 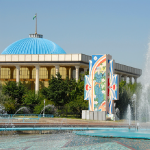 Dinner and accommodation in Tashkent. Night at Rovchan or similar. 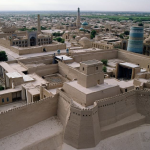 Khiva is probably the most intact towns dotting the Silk Road in Central Asia. Transfer by air (1 hour flight), then 40 km by minibus. The visit of the historic sites is done on foot. Arrival in Urgench and on the way to Khiva. Discover ItchanKala, the inner city, cut off behind high brick walls. Traditional dances in the evening in a former madrasah. Night at Old Khiva or similar. A hundred kilometers, pass through the villages of the Khorezm region and across the desert to KizilKoum (Red Sand). Some stops are planned for photos and lunch in one of the “Chaykhana” – coffee oasis. The particular beauty of the desert Asian center takes us back to the time of caravans crossing this sea of sand on camel’s back. Night at KhovliPoyon or similar. 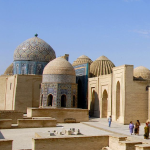 Most interesting sights of Bukhara are concentrated in the old city of Chakhristan and explored on foot. 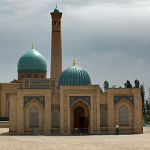 First, the mausoleum Ismail Samani (9th – 10th century), the oldest building in the city and one of the most beautiful jewels of Uzbekistan and the Chashma Ayub mausoleum (12th -14th century) all Bola Hauz (18th century) and the Citadel Ark. The symbol of the Bukhara Emirate stands in all its majesty on the square of Registan and recalled the terror of Mang’it time. The Residence of the lords of Bukhara, the Ark is as old as Bukhara itself. Evening traditional dances in a former madrasah. 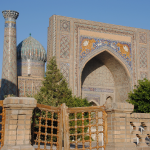 After breakfast, discover the nearby of Bukhara. The sacred site Bakhaoudin Nakshbandi (16th century) where a founder and one of the most venerated saints of Islam Sufi were buried. Then visit the summer residence of the last emir “Setora-i-Mokhikhosa” (19th century). Continue to visit the madrasa Chor Minor (early 19th century), one of the most attractive buildings and strangest in Bukhara. At 9 am on the way to the village of Abu-Abdulloh Guijdovani – Guijdovan (70 km) is famous for his fine ceramics. Departure to the capital of Tamerlane’s empire arrived in Samarkand around noon and transfer to hotel. Afternoon, discover of the capital of the empire of Temourides. 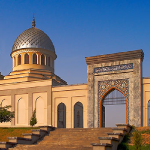 Visit the mausoleum of Gur-Amiret Registan Square, the most grandiose complex in Central Asia and one of the most beautiful of Islam. It was the hotspot of the capital of Tamerlane, where six arteries met under the dome of a bazaar. 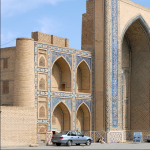 It consists of three beautiful madrassahs: ulugbeg, Cher-Dor, Tilla-Kari. Crossroads different Silk Road, the west to Persia, the east one to China, and south to India. Alexander the Great and Genghis Khan were his conquerors and Tamerlane made it his capital. Its domes and blue mosaic still spellbound today’s travelers. Visit the observatory ulugbeg, the ChakhiZinda necropolis, a silk carpet workshop (suzani). Night at Bibi Khanum Bibi or similar. 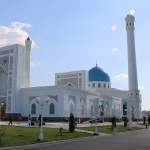 Morning departure for the village of Khartang and visit the magnificent mausoleum of Imam al Bukhari, one of the most important pilgrimage sites of Uzbekistan. 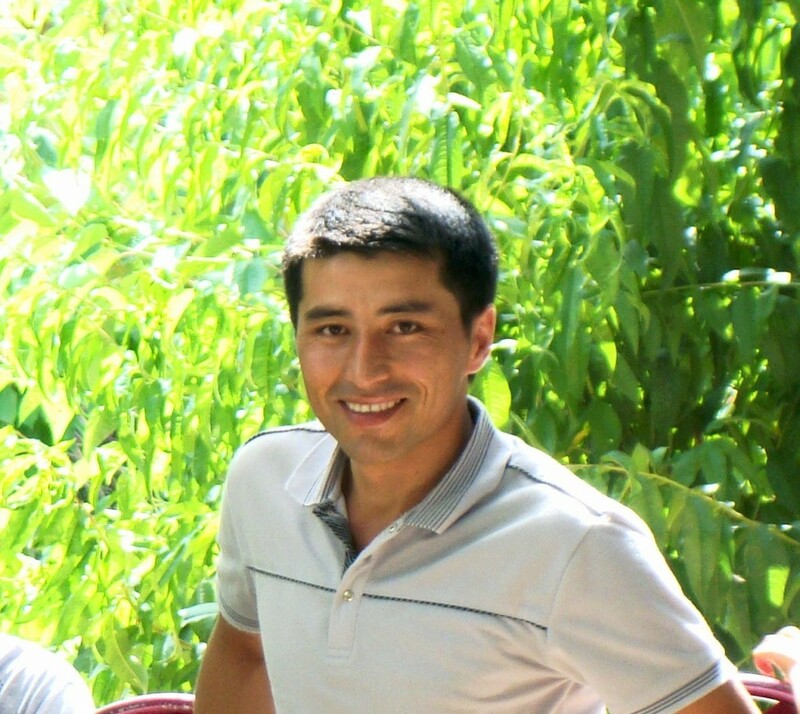 At 4 p.m, transfer to the station to take the high speed train Tashkent – Samarkand. Free time according to your flight time to stroll around the city at your own pace. The program and accommodation can be changed as desired. Transport according to the program in air-conditioned vehicle. Tickets of high speed trains Afro syob Samarkand – Tashkent. The right of pictures taken in the monuments (pay on the spot, at the entrance).